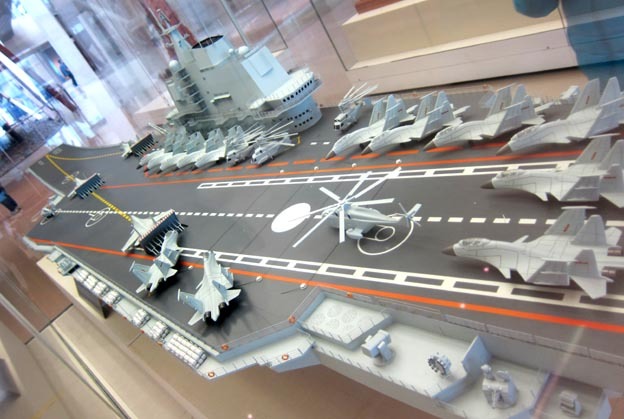 Type 001 aircraft carrier, PLA Navy's first aircraft carrier, former USSR project 1143.6 Varyag, built in Nikolayev Black Sea Shipyard and launched in 1988. The ship was rebuilt in Dalian Shipyard in March, 2002 and commissioned on 25 Sep. 2012. 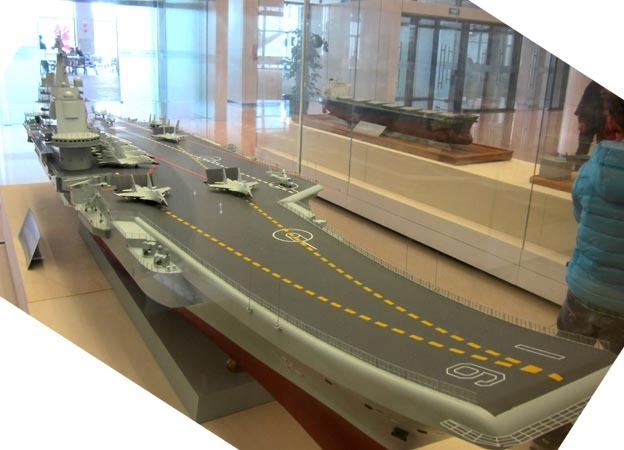 The carrier is equipped with a ski-jumping flight deck on the bow, 4 tailhooks and 1 barricade. Two lifts are at the front and back of the island superstructure on the right side of the flight deck. The carrier is powered by 4 steam turbines, equipped with 4 shafts, 4 fixed pitch propellers and 2 rudders, which provide 200,000 horsepower. The maximum speed is 32 knots. She can sail 4,000 nautical miles at 30 knots, while 12,000 nautical miles at 20 knots. The electricity system will produce 14,000 KW power. The carrier can store 7,800t fuel and 5,800t aviation gasoline. Length 304m; width 70.5m; draft 11m; displacement 55,000t. Arresting gear is mechanical systems used to rapidly decelerate an aircraft as it lands on aircraft carriers. This part of arresting cable was used in the first landing test onto Liaoning on 25th Nov. 2012.